• What is the cost of eyebrow permanent makeup? • How much do permanent makeup treatments cost? During this session, after studying your face and its main features, I will design the new shape of your eyebrows. This session may last up to two hours. The technique chosen to perform the treatment will not affect the final price. While, if you have already undergone this type of treatment and there are still some traces of it, this may slightly affect the final price, which will be quantified through private negotiation by mail. This session should be scheduled after approximately 50 days, in order to define the treatment, so that it will last longer than expected with just one session. Although not always required, I suggest you to choose to undergo a second session of treatment for better and long-lasting results. During this session, after studying your face and its main features, I will design the new shape of your lips. This session may last up to two hours. The technique chosen to perform the treatment will not affect the final price. While, if you have already undergone this type of treatment and there are still some traces of it, this may slightly affect the final price, which will be quantified through private negotiation by mail. This session should be scheduled after approximately 50 days, in order to define the treatment, so that it will last longer than expected with just one session. 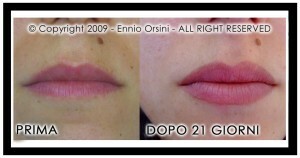 Lip liner treatments do require, in most cases, a second session for good results. During this session, after studying your face and its main features, I will create a design and we will decide together if the treatment should be performed on both eyeliners or not. Anyway, the price will not change. This session may last up to 1 hour and half. The technique chosen to perform the treatment will not affect the final price. While, if you have already undergone this type of treatment and there are still some traces of it, this may slightly affect the final price, which will be quantified through private negotiation by mail. This session should be scheduled after approximately 50 days, in order to define the treatment, so that it will last longer than expected with just one session. 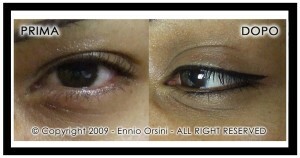 Eyeliner treatments do require, in most cases, a second session to guarantee good results. IMPORTANT: please note that, if the treatment is not performed in Sulmona (example: studio in Rome or Milan), costs may vary. In any case, I would recommend booking a pre-treatment consult in the studio chosen for the treatment, to better discuss all details and have a more precise estimate. 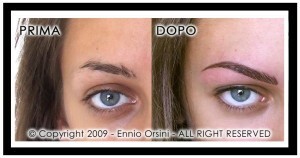 Or, you can visit this page to know the prices related to permanent makeup treatments performed in Rome or Milan.